In your great time of need, Hays + Sons focuses on restoring your home and your life back to normal. You can count on us to manage all aspects of the emergency response, cleaning, and restoration of your home, bringing calm and efficiency to this chaotic time. Water can hide in ceilings and walls, and if you don’t take care of it, mold and mildew will soon be there too. We’ll dry out the moisture you can see as well as the invisible moisture. Our Certified Water Removal Experts use infrared cameras to reveal every drop of hidden moisture. And our powerful ventilation equipment thoroughly removes it from your house. Take pictures of the damage. You’ll want to be able to show your insurance company exactly what your house looked like at the time of loss. Turn off utilities at their main. You should know how to shut off the water, electricity and gas to your house in cases of emergency. Ventilate wet areas. Turn on air conditioning for accelerated drying in summer; in winter alternate cycles of opened windows and heating. Open drawers and cabinet doors for interior drying, but do not force open stuck drawers or doors. Remove easy-to-access water, such as standing water on flat surfaces. Prevent unnecessary damage. For example, take up saturated rugs and carpets from hardwood floors, and remove lamps, telephones and decorative items from wet furniture tops. Stay out of harm’s way. Don’t go in rooms where ceilings are sagging from retained water. 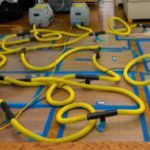 Transport electronics to a dry environment. Remove any cases and blow dry if possible. Avoid carpet staining by placing aluminum foil squares, china saucers or wood blocks under furniture legs. Don’t use heat to dry closed building interiors because moisture can increase and cause further damage. Don’t leave wet fabrics in place. Separate them and space them apart (and dry as soon as possible). Read more about water damage, removal and mitigation on our water resource page. Do not operate electronics, including televisions, vacuums or other appliances while standing on wet carpet or floors. Serious injury may result. 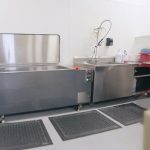 Our Clean Trust Certified Technicians provide full mold remediation, professional deodorization, and biological organic growth removal and disposal. Mold can be destructive to your property and hazardous to your health. Your allergies may not be a normal part of life. If you frequently sneeze, cough, are congested and have itchy water eyes, it can be a sign that mold is growing in your residence. Areas of your home that are damp or have flooded in the past are highly susceptible to mold growth, especially if you didn’t have a professional do the water removal and mitigation. 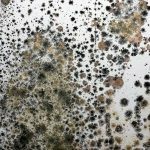 Learn more about mold on our mold resource page. If mold has already developed, vulnerable persons, such as infants, the elderly, or those with asthma, should avoid the area while cleaning occurs. Hays + Sons has a Certified Team of Experts you can trust who are skilled in all aspects of fire and smoke damage–from soot and smoke clean up to property reconstruction. 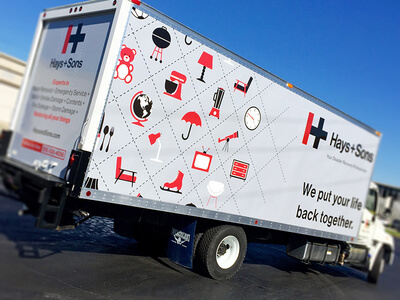 For items not beyond restoration, Hays + Sons can bring possessions, appliances, electronics, draperies, collectibles and furniture back to their pre-fire condition. 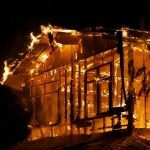 Fires are devastating, and you may be inclined to jump right in to clean right away, but it can be dangerous to do so. Secure a fire report from the fire department. Weather permitting, open windows for ventilation. Call a restoration company to board up open windows, roofs, or other penetrations in order to prevent additional damage. Learn more about fire safety, prevention and fire and smoke cleanup on our fire resource page. Our Hays + Sons Personal Property Restoration Services bring additional efficiency to the loss recovery process. Personal contents are assessed and inventoried for protection, salvage and reconstruction. Comprehensive personal property services include contents cleaning, electronics repair, artwork restoration, climate-controlled warehousing and more. Immediate attention to a disaster site can minimize property losses and speed up the cleaning process. We pre-clean sensitive metal, plastic, marble and finished wood, mitigating the impact of soot, water and exposure. Ceilings, doors, windows and cabinets are all disassembled, cleaned and reassembled as necessary. Our staff members are trained and certified to coordinate, take inventory and move contents and salvage from your loss site to our 280,000cf climate controlled warehouse. Our Inventory Bar Coding system and secured content storage space provide assurance that your property is secure and protected. Check out our Personal Property Restoration stations. A Skilled Team of Craftsmen quickly assesses what needs to be done to secure your property and prevent further damage. Hays + Sons does board up right so you can relax knowing your property will be safe from intruders and outside elements until it can be fully restored. Openings in the basement, first floor doors and windows as well as any point of entry accessible from a porch, fire escape or other potential climbing point require additional security measures. To be effective, proper materials and installation are essential. Plywood is cut to fit openings and 2×4 braces are used to secure doors and windows. Tarps may also be placed on roofs to prevent additional moisture from entering the property. Property owners are responsible for making sure their property is secured as soon as possible after a disaster. Our General Contracting services are provided for projects related to insurance claims. Whether your home has been devastated by fire or storm, tornado or falling trees, we provide exterior repairs related to roofing and siding replacement. And, with a dedicated, full-time project manager, your project stays on schedule.